galouti kebab recipe | veg galouti kabab recipe | rajma galouti kebab with detailed photo and video recipe. 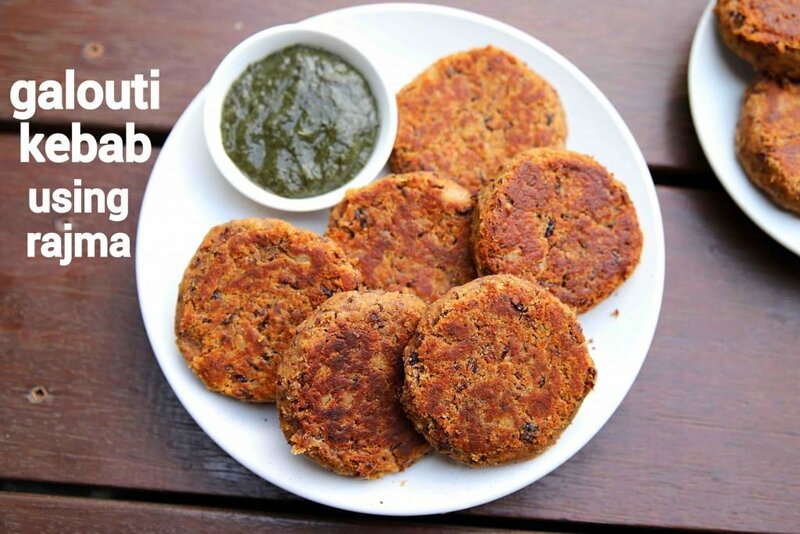 a popular vegetarian alternative of the popular meat-based galouti kebab from awadhi cuisine. 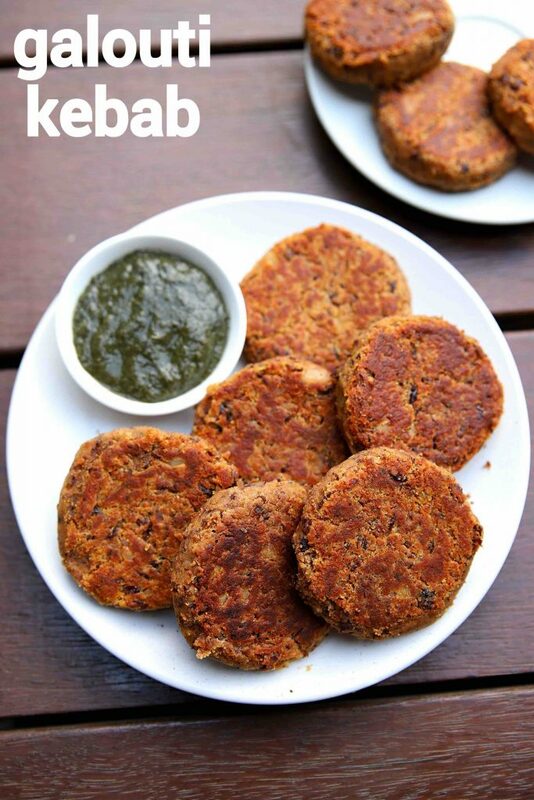 these patties shaped kabab are known for its crispy texture, moist inside and hence served within a roll. 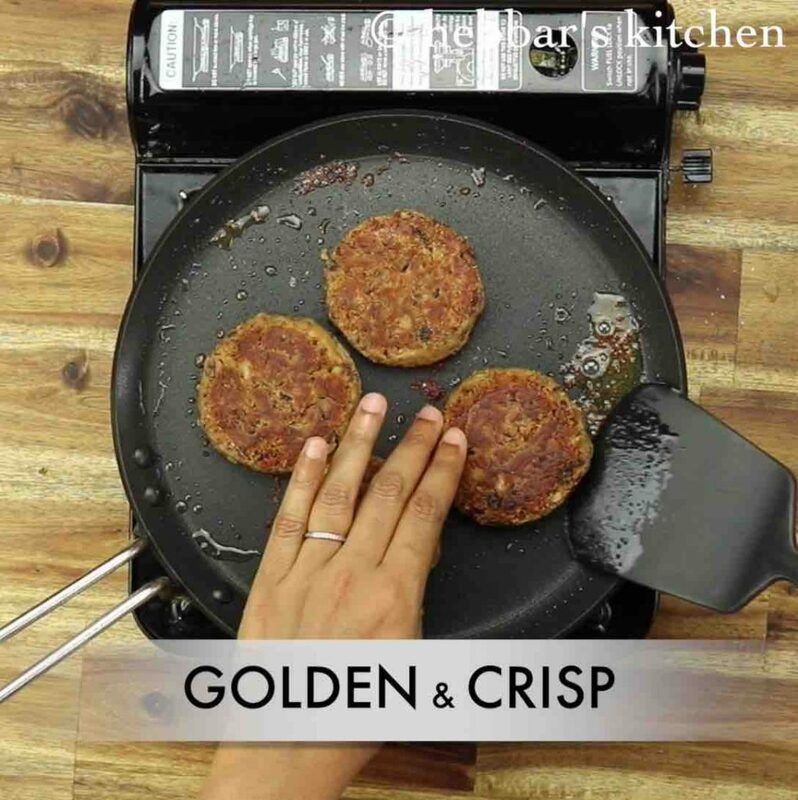 it can be severed as starters or snacks with choice of condiments, but also tastes amazing when served as patties for burger or rolls. galouti kebab recipe | veg galouti kabab recipe | rajma galouti kebab with step by step photo and video. kebab recipes are not native to the indian cuisine and were influenced by the mughal cuisine. generally, the kabab’s were made with the combination of meat and vegetables and shaped like patties. rajma or kidney beans based kebab also known as galouti kebab is a new addition to the list and can be served as starters or snack. well, to be honest, i am not a huge fan of this kebab as it makes me full after having 1-2 kebabs. it is mainly because of the large amount of protein present in the kidney beans. i personally like to have a light snack which does not make you blotted. perhaps it could be just me because apparently, it is one of the sought after kebab recipe. 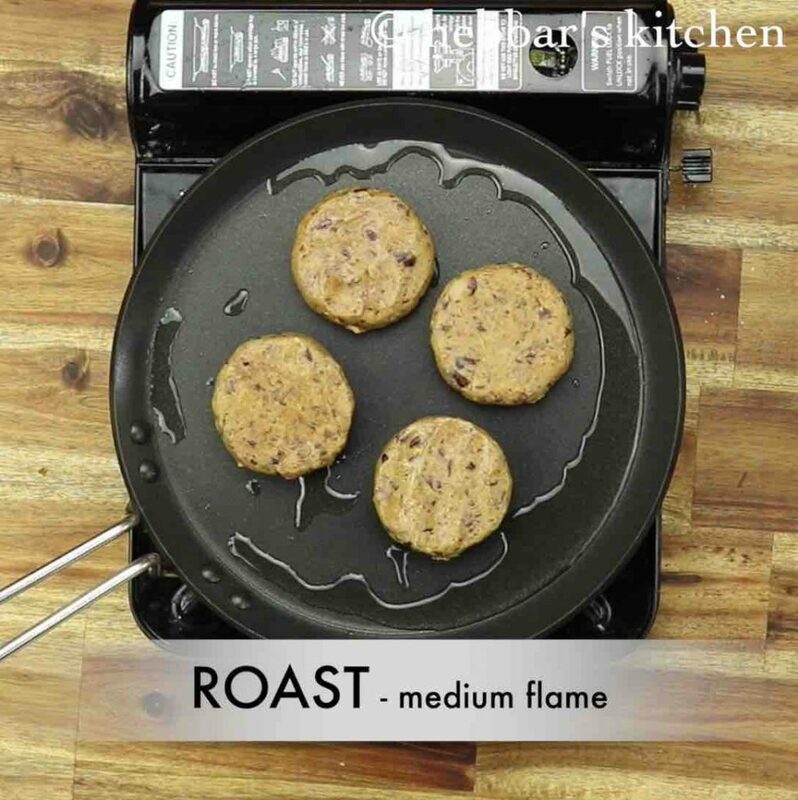 in addition, meat lovers extend this recipe with desired meat in place of kidney beans and thus making a protein pack. hence most of the kebab shops stuff these kebabs in a roll with some salad and serve it as a complete meal for lunch and dinner. 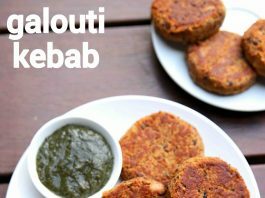 furthermore some tips, suggestions and variations to the galouti kebab recipe. 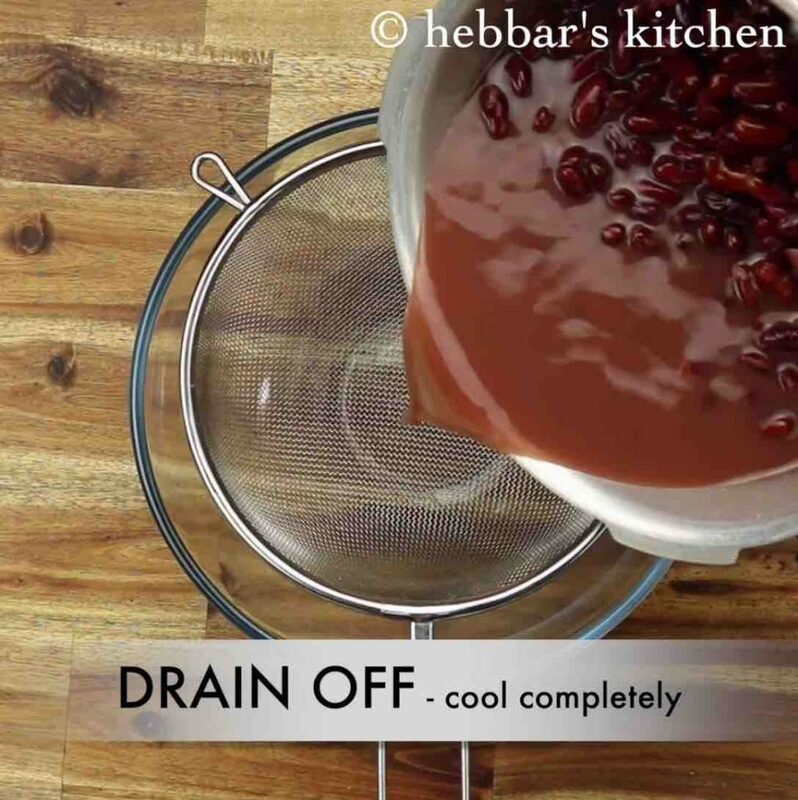 firstly, the kidney beans have to be soaked minimum of 8 hours if not overnight. in addition, once it is soaked, pressure cook it thoroughly so that rajma can be easily mashed and shaped. secondly, once the kebab’s are shaped you can fry these with different options. 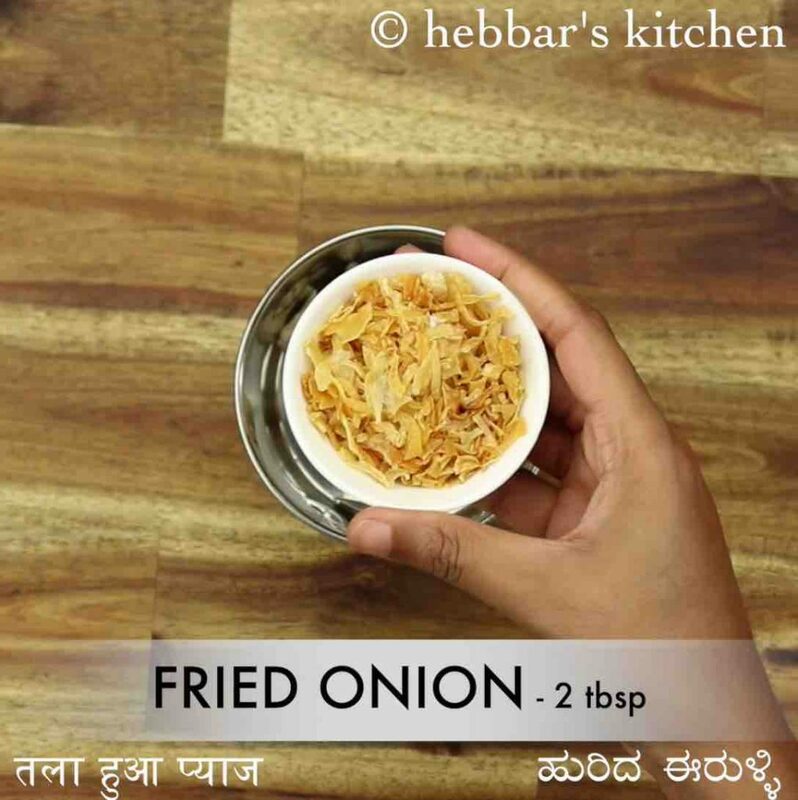 i have pan-fried to give the healthy option, but you can deep fry or shallow fry till crisp. 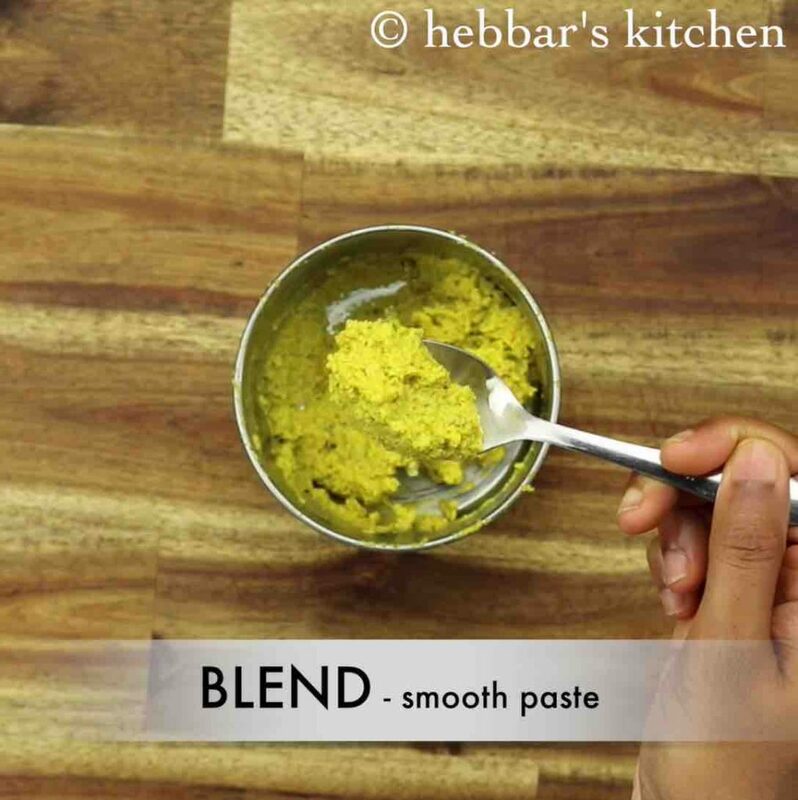 lastly, you can extend and experiment the recipe by adding choice of millets and quinoa. adding these makes it more crispy and also filling. in a small blender take 10 whole cashews. make sure to soak cashews in warm water for 10 minutes. also add 2 tbsp fried onions, 1 chilli, 2 pods cardamom, 2 tbsp coriander and 3 tbsp saffron water. 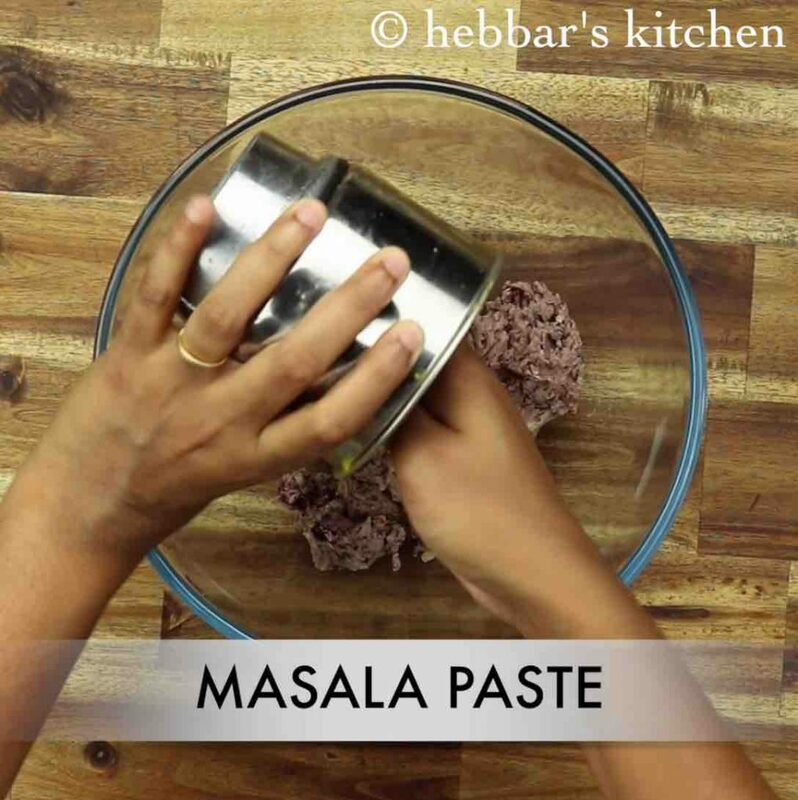 transfer the masala paste to rajma paste. 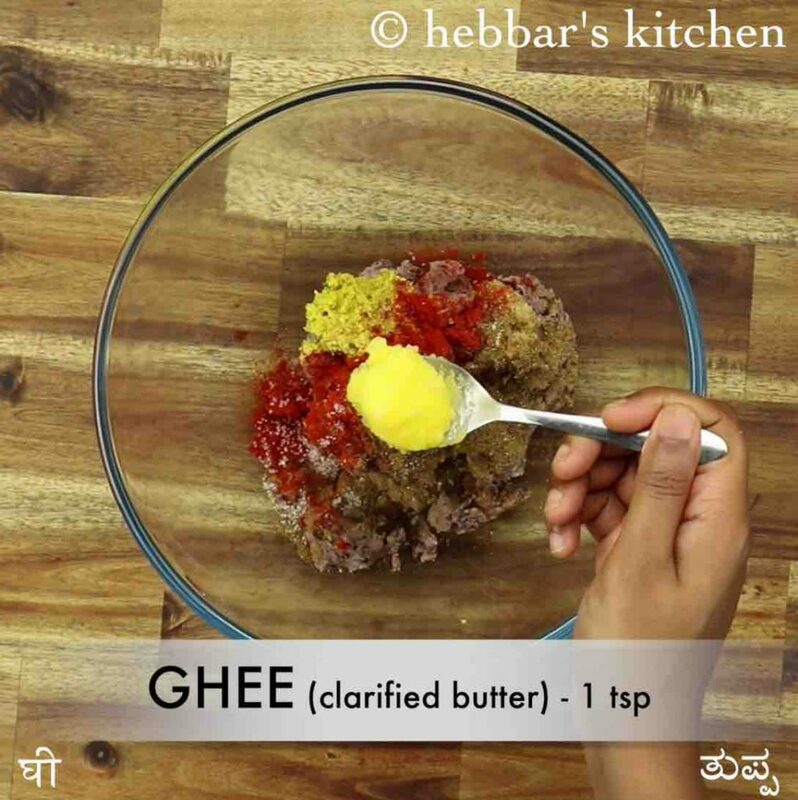 further add all spices, 1 tsp ghee and ¼ cup besan. combine well making sure the spices are combined well. 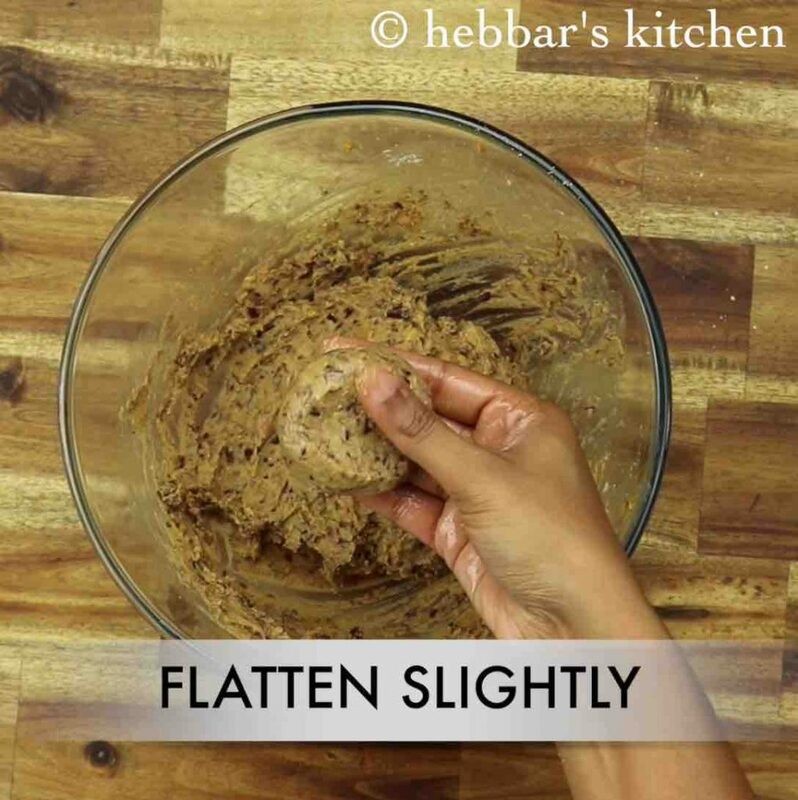 grease the hands with oil and shape a small ball sized mixture. roast in tawa heating 2 tbsp oil. roast on both sides until the galouti kebab turns golden and crisp. finally, enjoy galouti kebab or rajma kebab with green chutney. 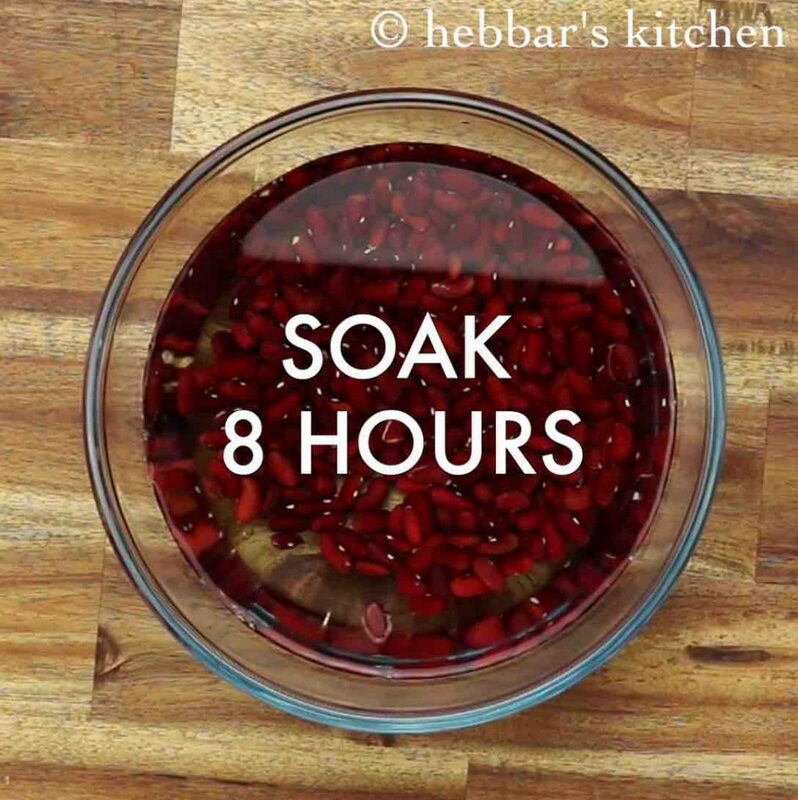 firstly, soak 1 cup rajam in enough water for 8 hours. transfer to the cooker and add 4 cup water, ½ tsp salt. 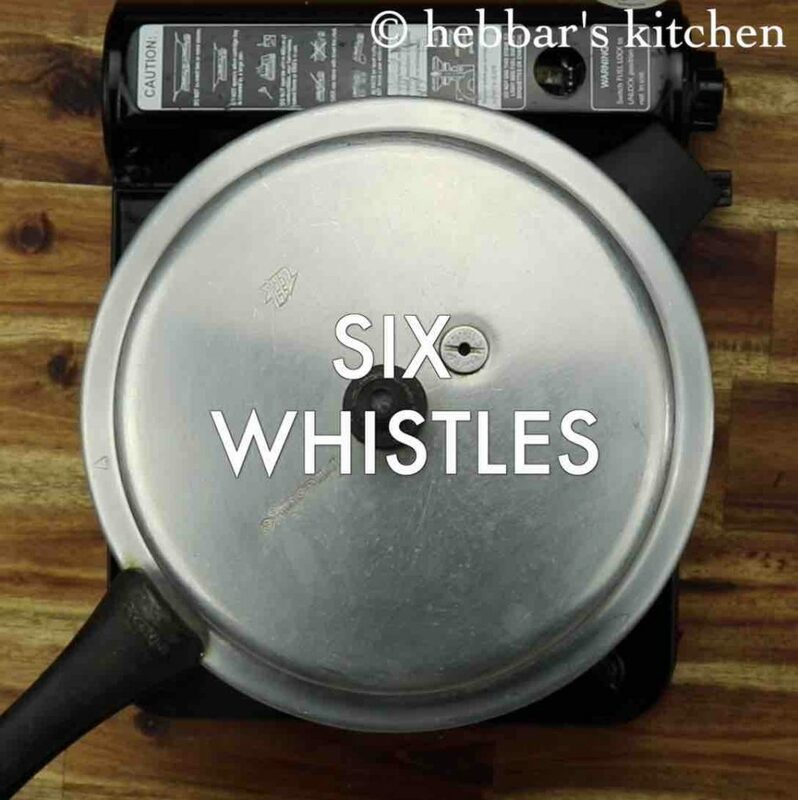 pressure cook for 6 whistles or until rajam is cooked well. drain off the water from rajam and cool completely. you can use rajma extract to knead dough or prepare soup as they are nutritious. 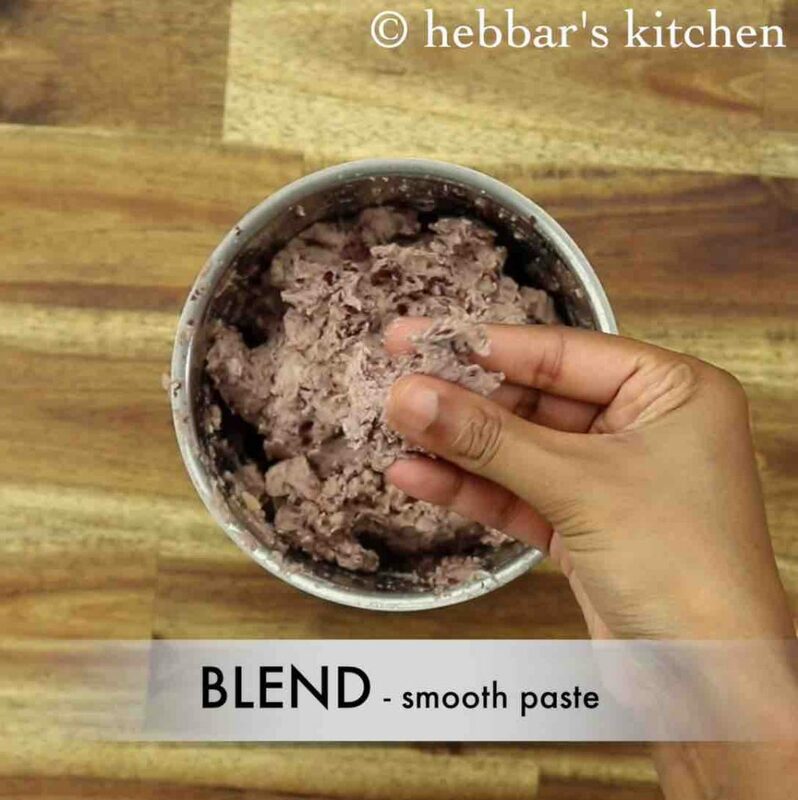 transfer the rajma into the blender or food processor and blend to smooth paste. now in a small blender take 10 whole cashews. 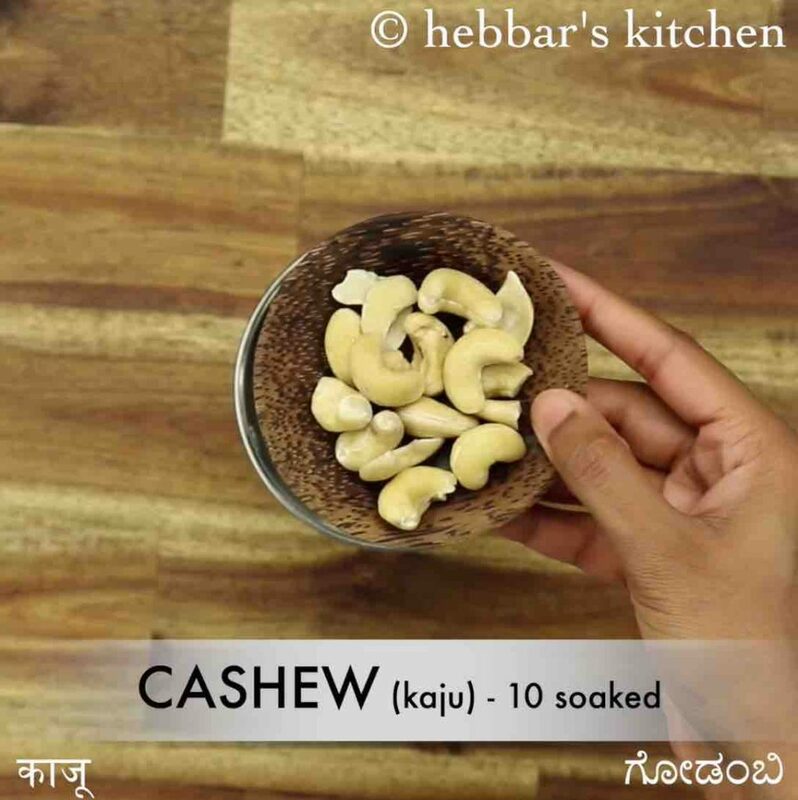 make sure to soak cashews in warm water for 10 minutes. further add 1 tsp ginger garlic paste, ½ tsp chilli powder, 1 tsp garam masala, ¼ tsp salt, 1 tsp rose water, 1 tsp kewra water, 1 tsp ghee and ¼ cup besan. 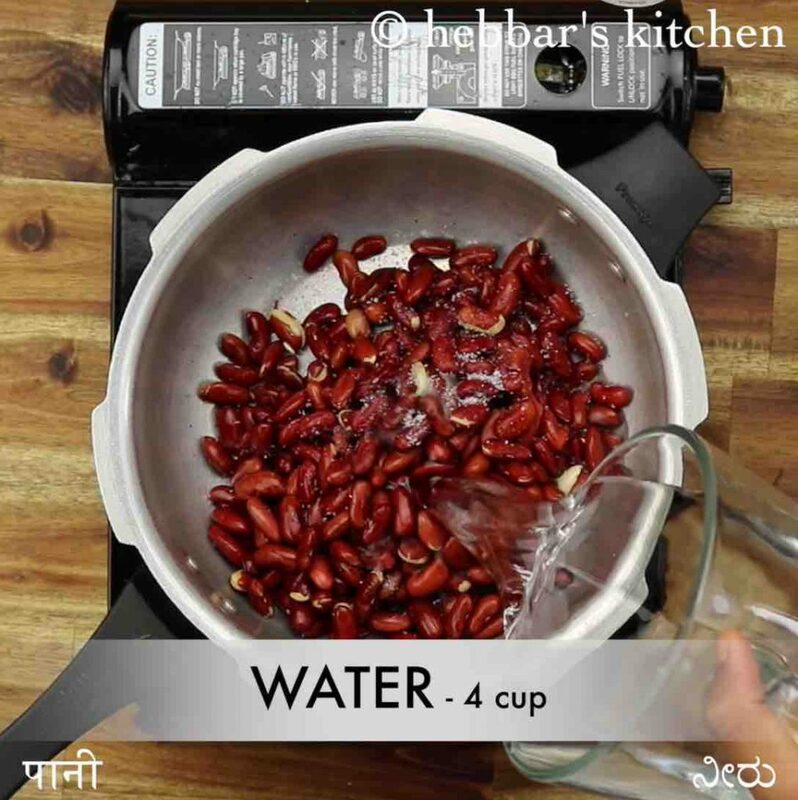 firstly, soaking rajma well helps to cook faster and better. also, you can add chana along with rajma for variation. 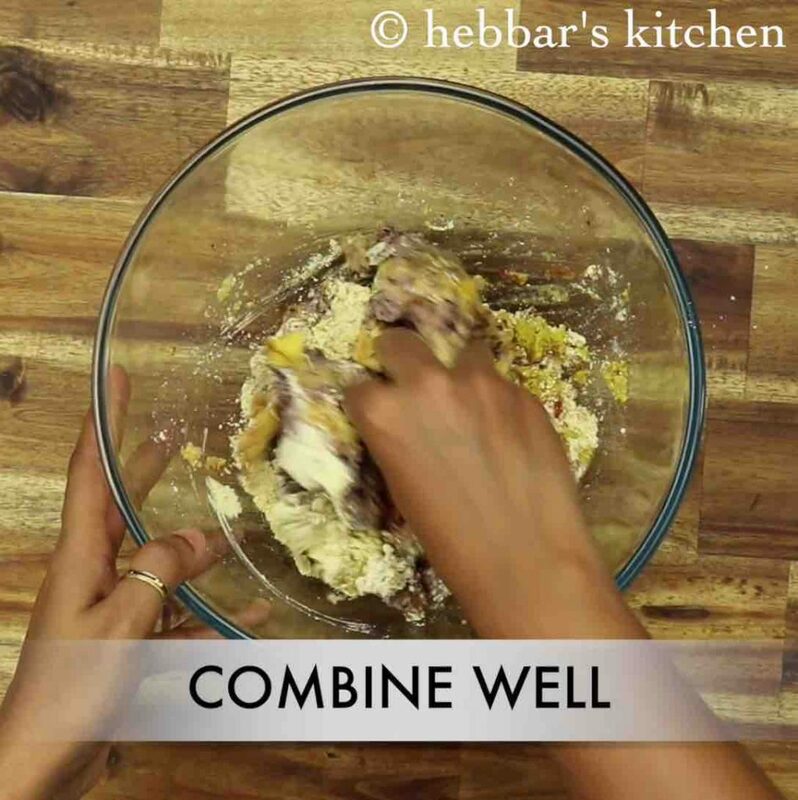 additionally, you can freeze the mixture and roast when required. finally, galouti kebab or rajma kebab recipe tastes great when prepared mouth melting soft from inside and crunchy from outside.